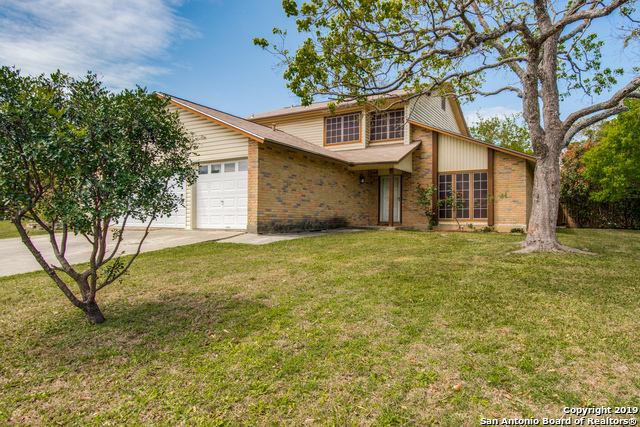 All Tanglewood homes currently listed for sale in San Antonio as of 04/20/2019 are shown below. You can change the search criteria at any time by pressing the 'Change Search' button below. "This is a rare Tanglewood Unicorn! This recently remodeled home sits on a corner lot, w/5 bedrooms, 3 car garage updated kitchen with miles of counter space and a huge private covered patio in back. Master bedroom with large walk in closet is down and 4 secondary rooms are upstairs. With it being so close to UTSA, USAA, I10, 1604 and serviced by award winning NISD schools, this location cant be beat!" "This home was recently updated. Open Floor plan & High living Room ceiling offers spacious room for entertaining. Mature trees offer a tranquil setting in your privacy fenced backyard, with screen-in porch & above ground pool. Mstr suite offers an over-sized sitting area, architectural detail, multi-closets, fully updated bath Rm with walk-in shower. Stainless Steel Appliances, Water Softner, Centrally located to shopping at La Cantera & the Rim, easy access to the Medical Ctr, UTSA, USAA, & Fei"
"Great Family Home offering 2,345 SQFT, 4 bedrooms, 2.5 baths, 2 attached car garage, granite kitchen countertops, Corner lot, located in the Tanglewood community, close to UTSA, USAA and IH10 off De Zavala road. Seller's are motivated. Sellers are motivated." "Spacious one story in Tanglewood w/an open floorplan~Large living area has stained concrete flooring, vaulted ceilings, a brick fireplace~New carpet in bedrooms~Master bath has separate vanities, jetted tub~Oversized backyard w/pergola, fire pit, sheds~2yr roof~New garage door, New Water Heater, just needs a new owner. Great location near USAA, Medical Center, UTSA, I-10, shopping~"